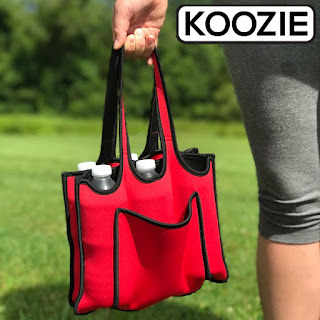 Hurry over because right now you can get this Neoprene 6 Pack Holder by Koozie One for $5.99, three for $14.97, or TEN or more for $3.99 each (Retail $17.99). Shipping is FREE on this deal! This neoprene Koozie is like having a wet-suit for your 6-PK! These Koozies not only keep your beverages cold for up to 4 hours but allow you to transport them easier than ever before with the comfy neoprene handles! It even has a pocket on front and folds flat when not in use. Holds pretty much any beverage from 12oz cans to glass beer bottles and water bottles! Measures 9" x 12". even has a pocket on front and folds flat when not in use.